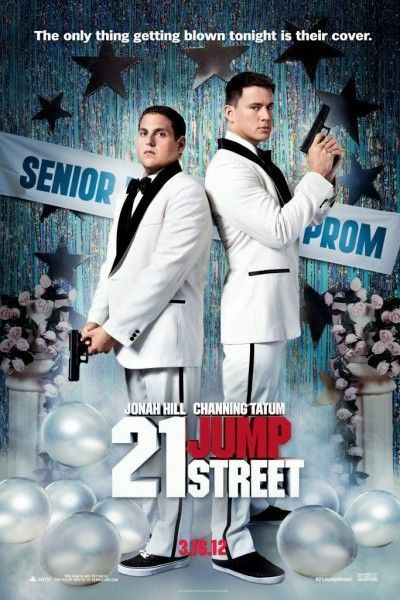 Sony has released a five-minute red-band trailer for 21 Jump Street. I’m not going to watch it. I’m already sold on the movie since I’ve only heard raves about it. I’ve been told directly “I know your sense of humor and you are going to love this movie.” I was pretty much sold back when the first red-band trailer hit. Watching five minutes of the movie would just spoil more jokes for me, so I’m going to pass. However, if you need more convincing, you can check out the trailer after the jump. The film stars Jonah Hill (who also co-wrote the script), Channing Tatum, Nick Offerman, Ice Cube, Brie Larson, Dave Franco, and Rob Riggle. 21 Jump Street opens March 16th. I’ll be seeing the film at SXSW, so look for my review later this week.